As the Intel Philippines discuss its newest products for the 2016, last March 17 at “Intel Kick-start 2016” event in Shangri-la in BGC . One of the interesting products their featured is the Intel Compute Stick 2nd Gen. 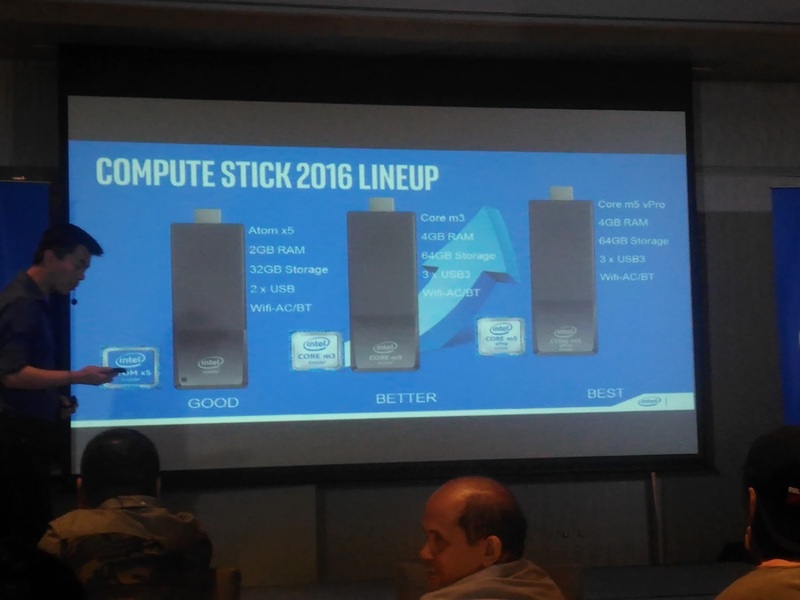 The Intel Compute Stick was announce last quarter of 2014 and release around 2nd half of 2015. This Compute Stick is size as a Flash Drive, with USB port and MicroSD card slot, the 1st Gen was powered by Intel Atom x5 Processor. This Intel® Compute Stick is a tiny device the size of a pack of gum that can transform any HDMI* TV or display into a complete computer. But it's what's inside that's really incredible: an Intel® Core™ M processor—with blazing fast speed that gives you performance for work, play, or both—and lets you upgrade to a world of new experience. And with optional Intel® vPro™ technology, you have the confidence that your data and networks are safe. 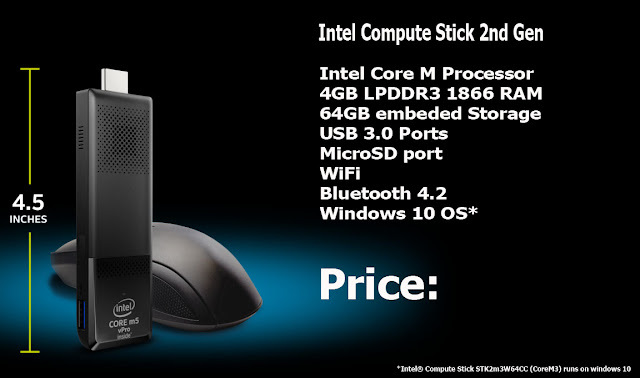 The Intel® Compute Stick delivers everything you love about a desktop computer in a device that fits in the palm of your hand. What’s New with the Intel Compute Stick 2nd Gen? The new Intel Compute Stick is still plug-and-play as before. Enjoy Browsing, Enjoy Gaming and Enjoy Exploring thru this new Compute Stick. Using the latest Microsoft windows Operating System the Intel Compute Stick (STK2m3W64CC) 2nd Gen is running on the Windows 10. From the 2GB on board RAM and 32GB eMMC Storage on Atom models stick, the newer version Core M sticks has a 4GB on board RAM and 64GB eMMC Storage. 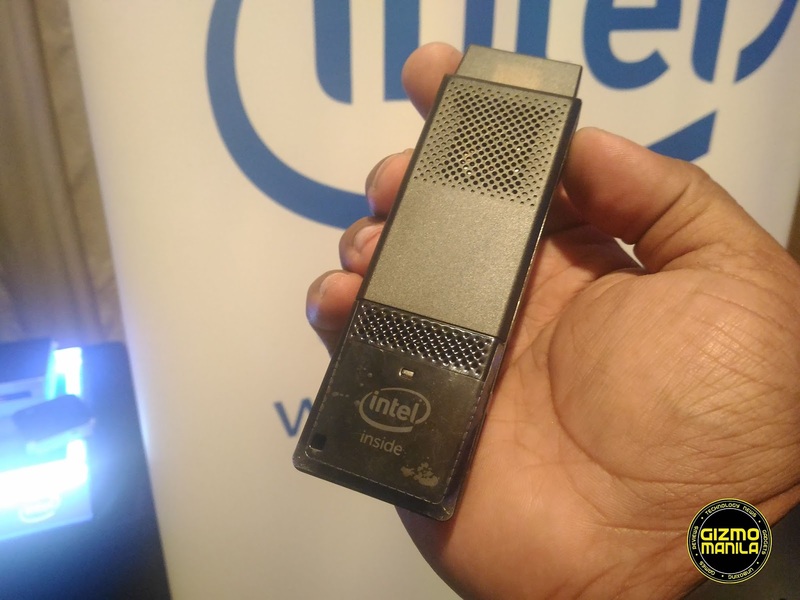 You can now enjoy faster browsing and better gaming experience with Intel Compute Stick. Now they do overall improvements on processor. 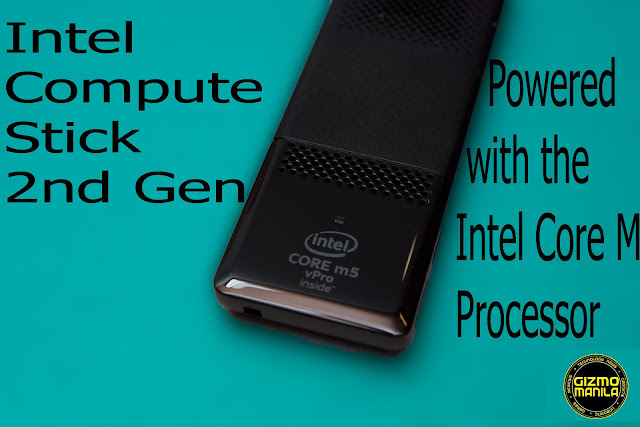 The 1st Gen Stick is running on Intel Atom X5 processor and the new Compute Stick has now the latest Intel Core M3 and M5 processors. Having this advance capability! You can now playback videos even on 4K resolution on your Television. The 1st Gen Compute Stick (Atom X5) has a 1 USB Port 2.0, now they improve the 2nd Gen with 3x USB 3.0 ports. You can now plug peripherals and flash drives. The Intel Compute Stick 2nd Gen will be available on 2nd half of 2016, price and official release to be announce soon.